Aka started dancing as a child; he studied at the best dance academies and worked as a professional dancer with leading companies across the african continent. Aka danced and choreographed for the national dance company of ivory coast . In spain, he formed the “tam tam karibu group” and held the position of director and dancer. Aka joined the Mayumana family in 2003, he performed with the different Mayumana troops all over the world and was one of the cast members of the Mayumana Project for New York. 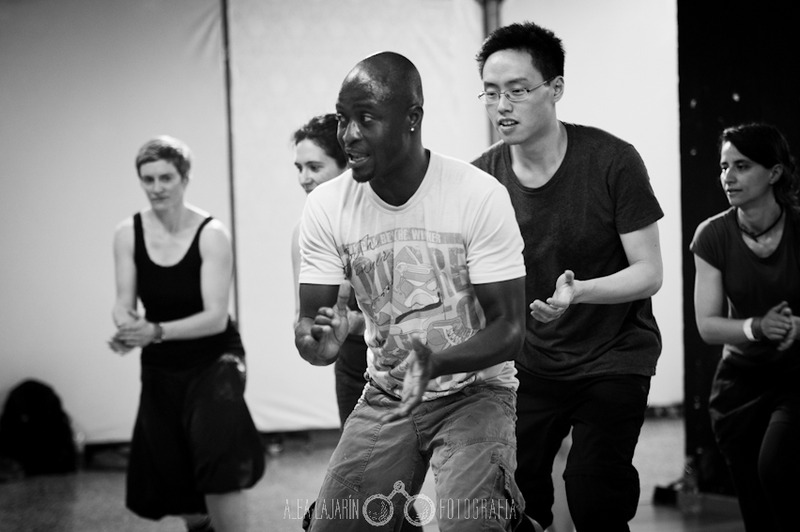 Last year Aka brought infectious energy to his African dance classes at ESBF, and we can’t wait to have him back again!